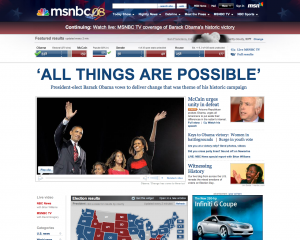 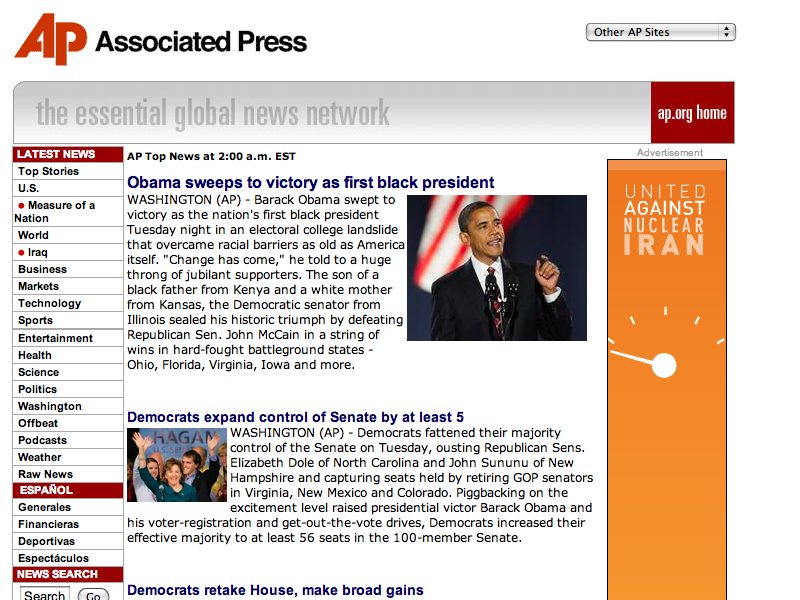 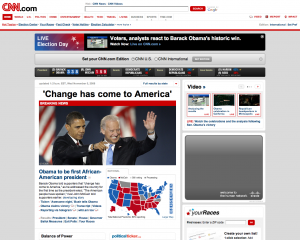 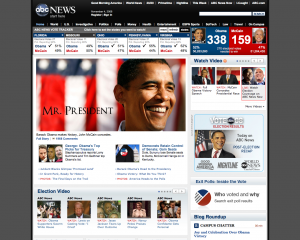 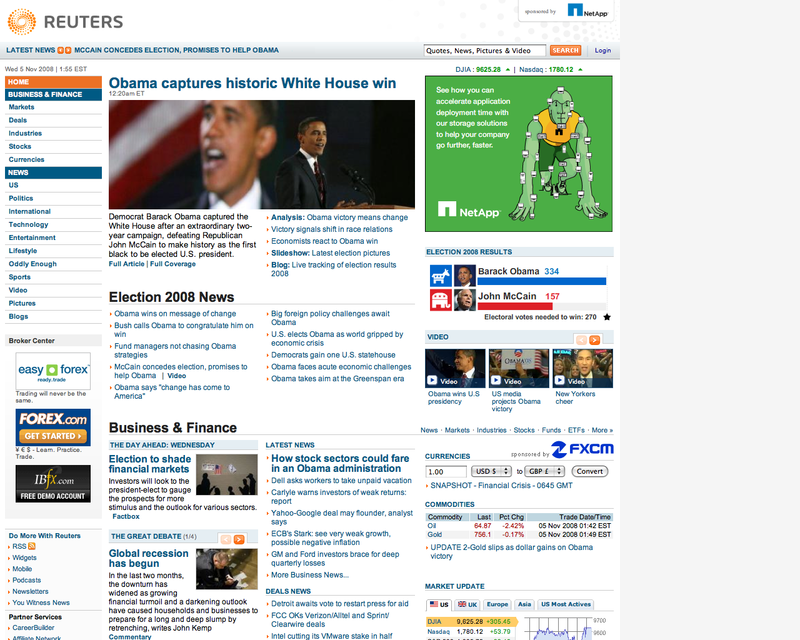 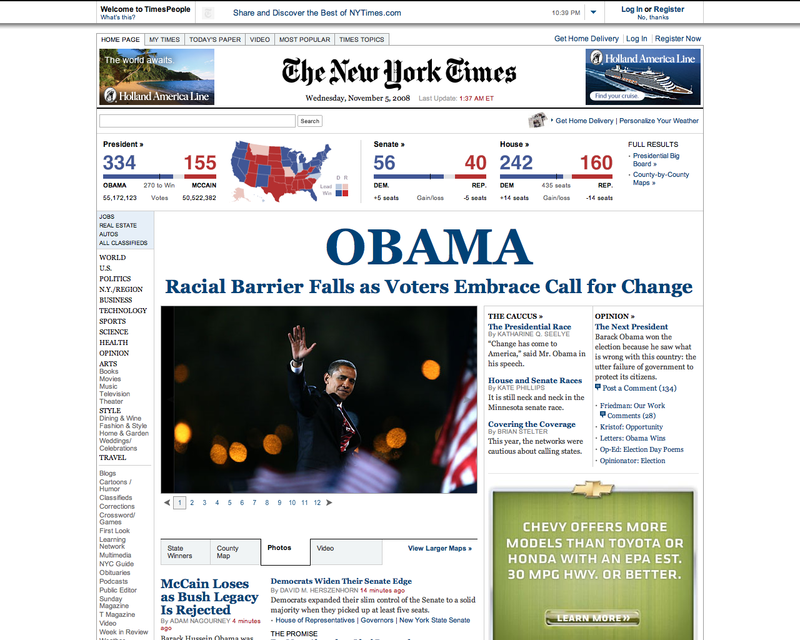 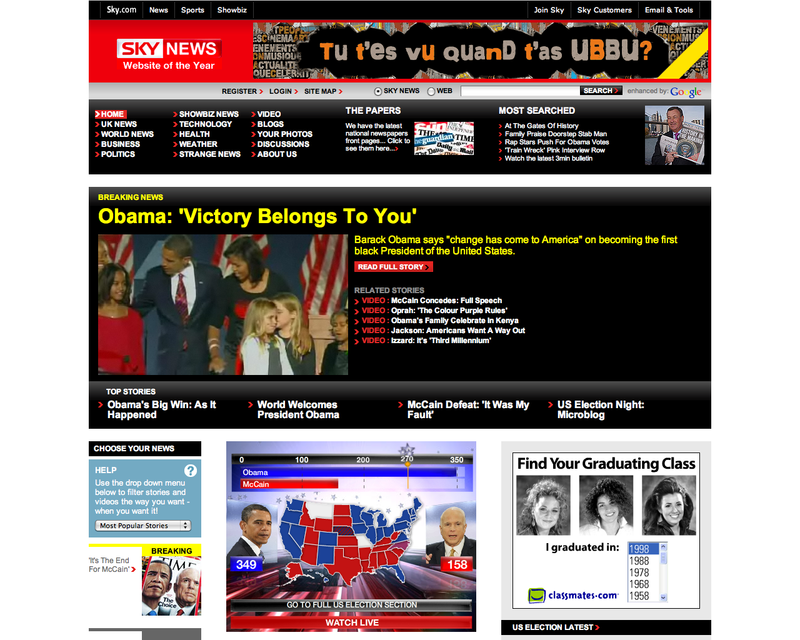 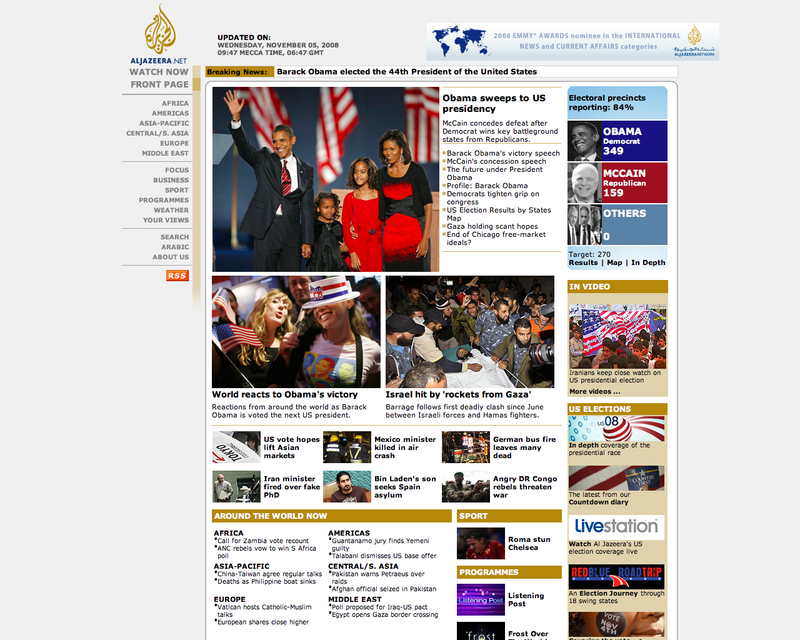 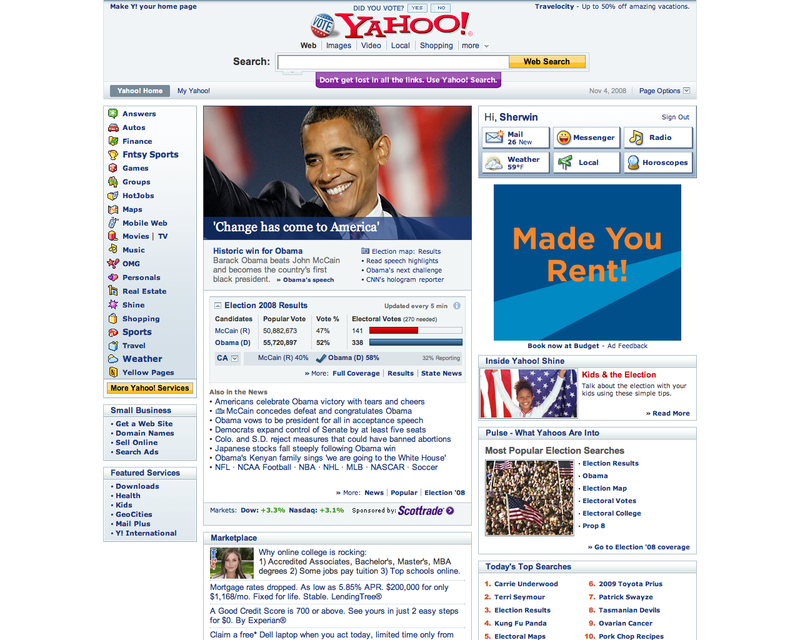 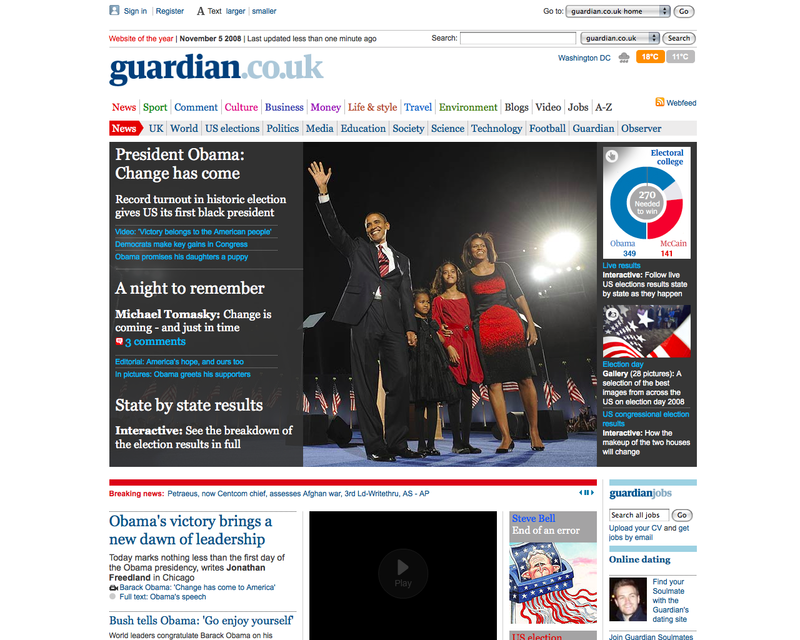 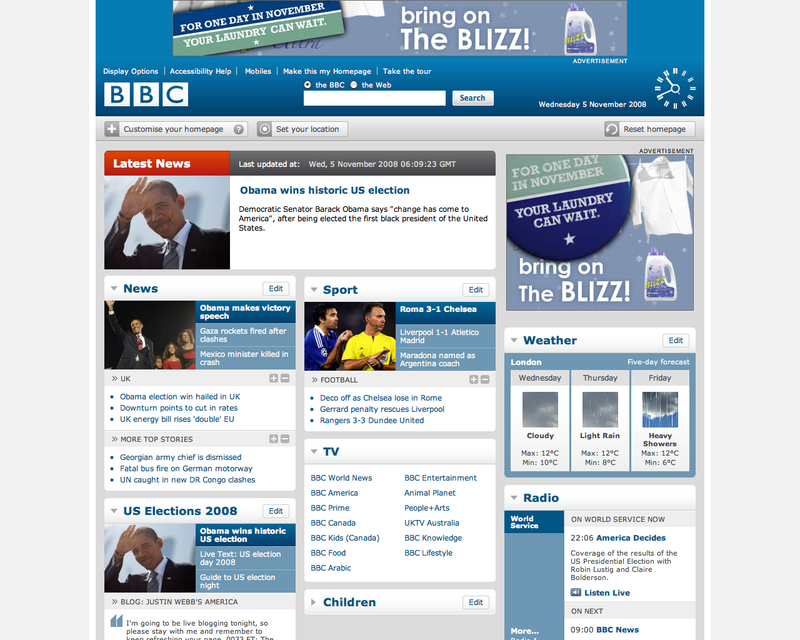 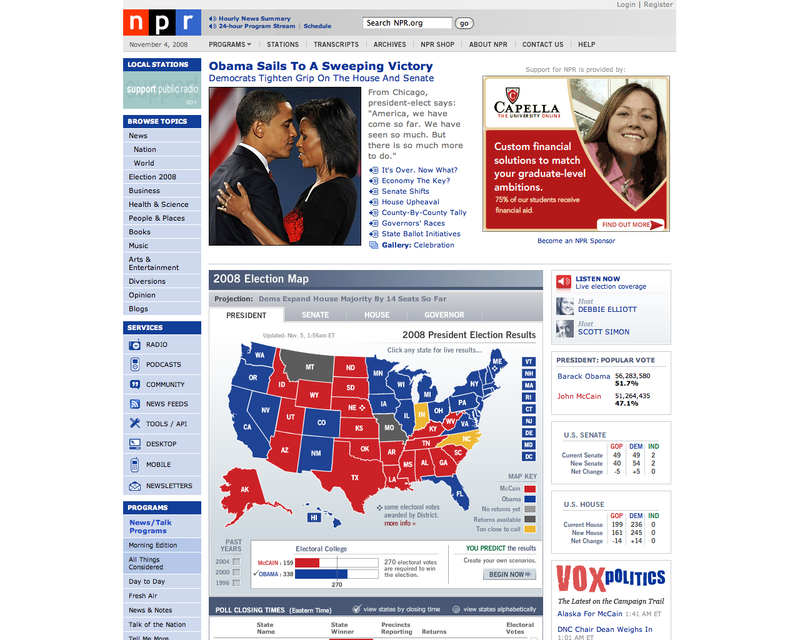 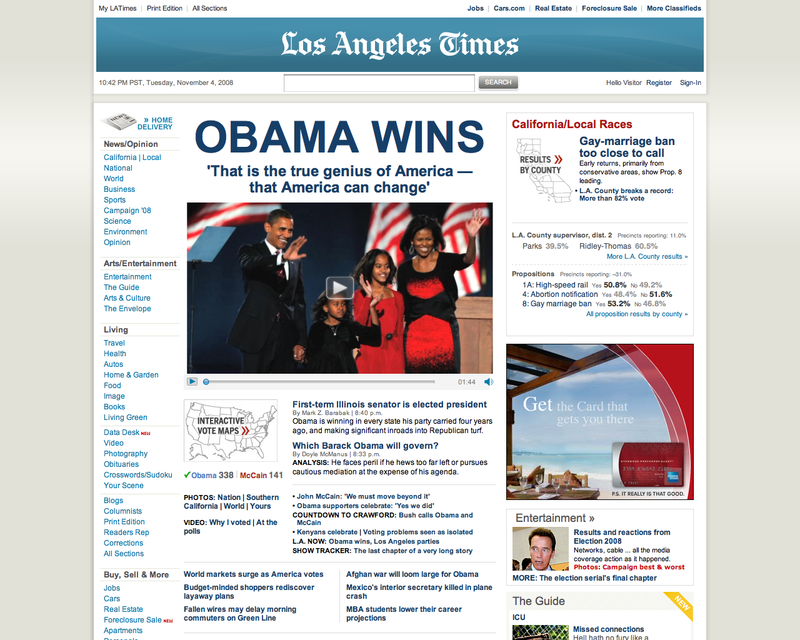 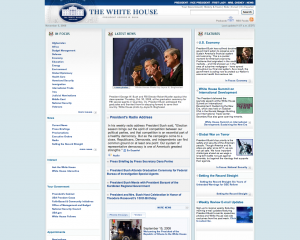 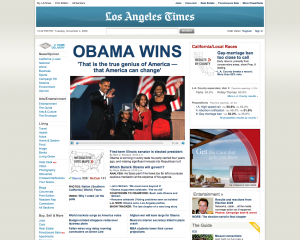 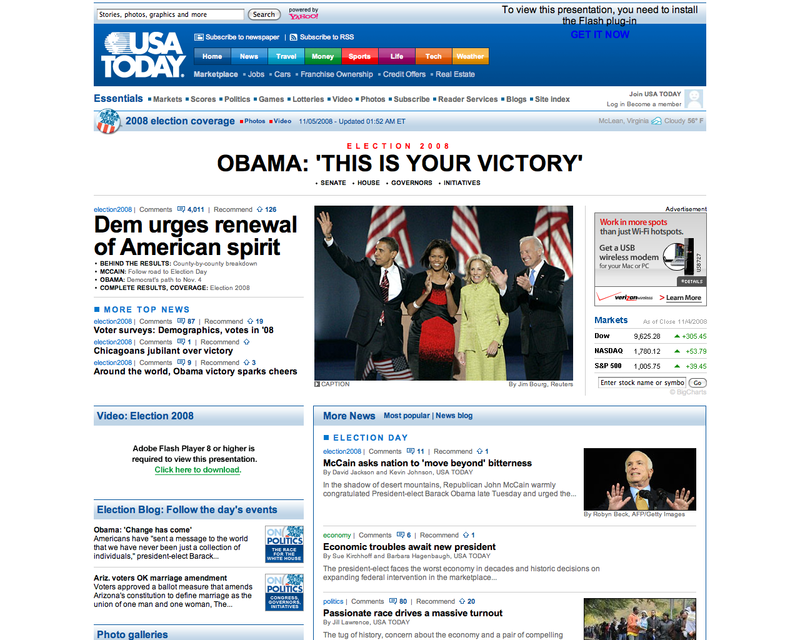 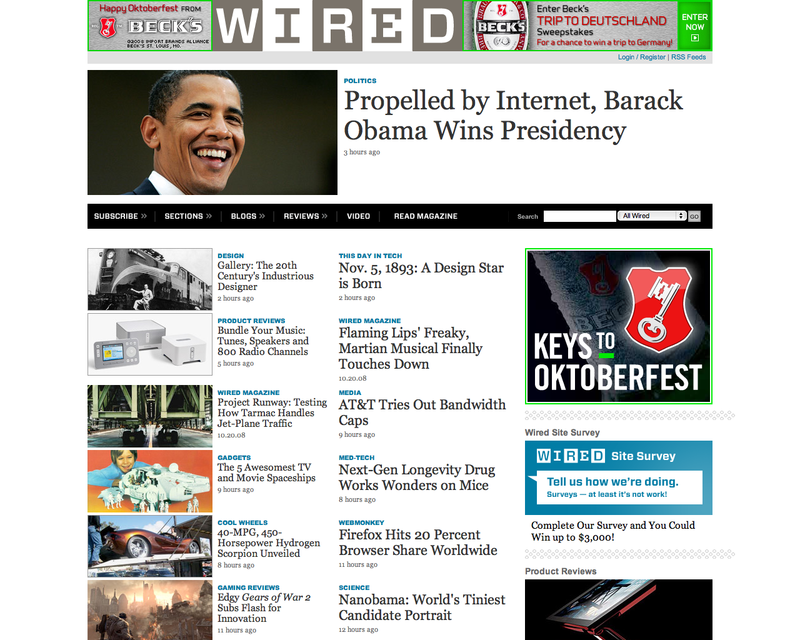 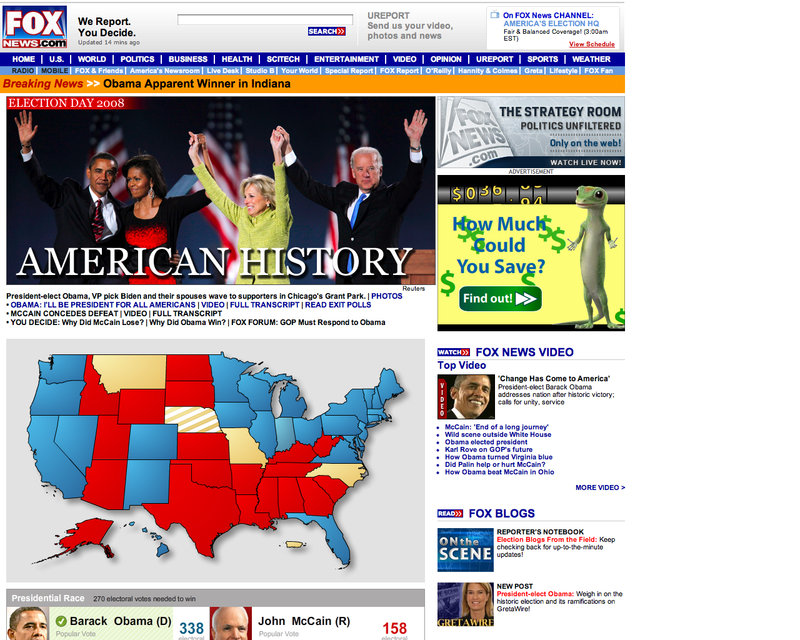 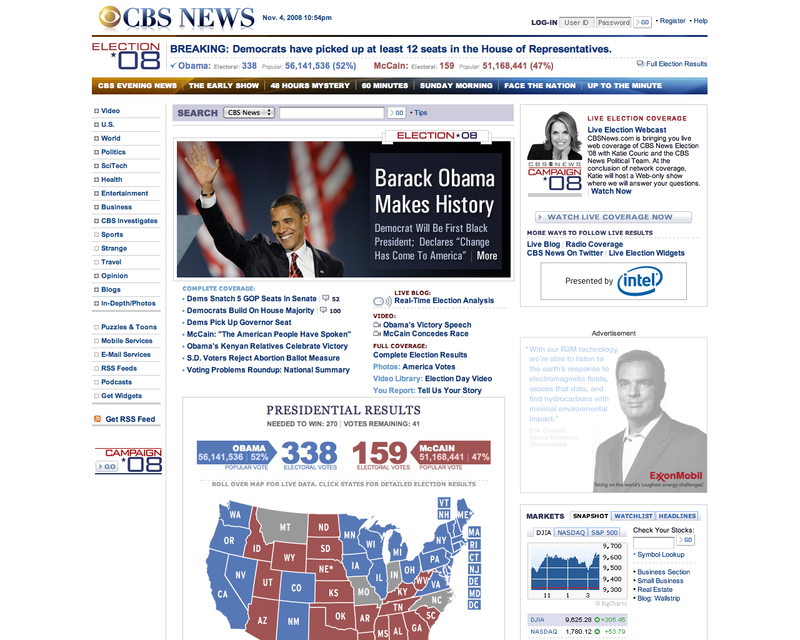 With the news of Pres­i­dent-elect Barack Oba­ma win­ning sweep­ing the World, most of the big news sites out on the net have updat­ed their home­pages. 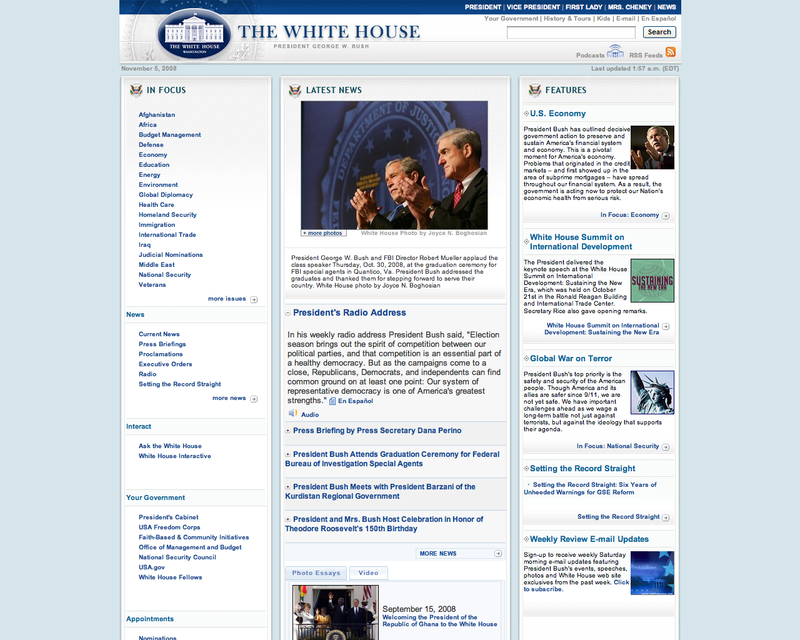 Men­tion­ing that, it is still sur­pris­ing to me (at the time of this post­ing) that WhiteHouse.gov still has no men­tion of “Oba­ma” ANYWHERE?!?! Any­ways, here are the ones that I real­ly dug below. 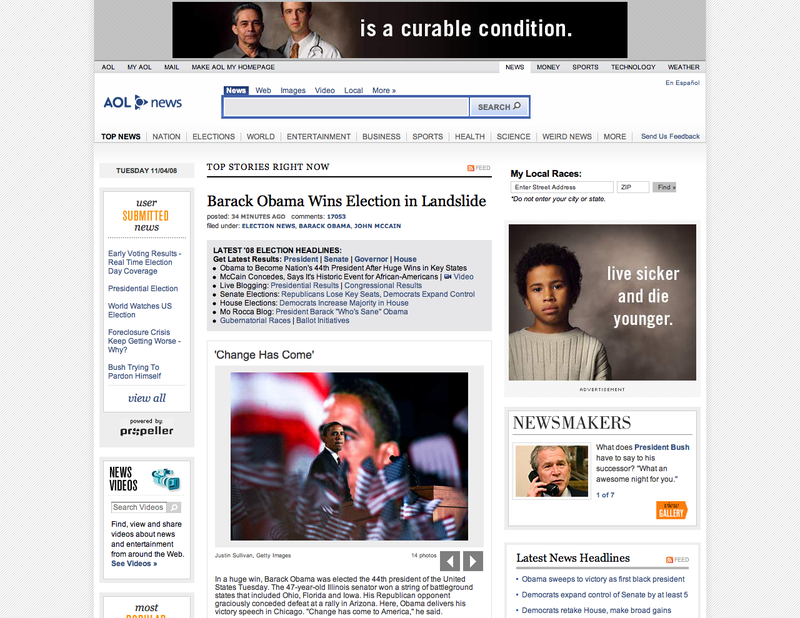 You may click on the thumb­nails to view a larg­er ver­sion. « Hope, Change, and President Obama!